For excellent residential electrical services, our team is the one to call. Residential electric work is essential to the maintenance of your home, and it is often better handled by a professional electrician. 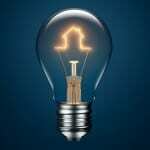 If you are having troubles with your electrical system or need to rewire certain areas of your home in Mt. Holly, North Carolina, make our team at Lamm Electric your first call. We have been serving the Mt. Holly area since 1993 and have become known for providing excellent, reliable electrical services to our customers. Our goal is for each person we work with to be completely satisfied with our work and customer service, and we strive to do our best work on each job. When you work with us at Lamm Electric, you can trust you are working with qualified, hardworking electricians who will get the job done correctly and efficiently. Hiring a professional residential electrician also allows you to focus on your family and other responsibilities. It saves you the trouble and stress of completing electrical repairs yourself, when you may not have the right training or materials. We don’t want any of our customers risking their safety during an electrical project, which is why we offer our great service at a fair, competitive price. 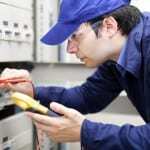 We are dedicated to making electrical services you need available and reasonable. If you are looking for a residential electrician you can trust and who will get the job done, call us at Lamm Electric. We are available and prepared to help with all of your electrical repairs or installation. Call us today with any questions or for more information! At Lamm Electric, our residential electricians proudly serve Charlotte, Belmont, Huntersville, Indian Trail, Matthews, Mint Hill, Harrisburg, and Mt. Holly, North Carolina.